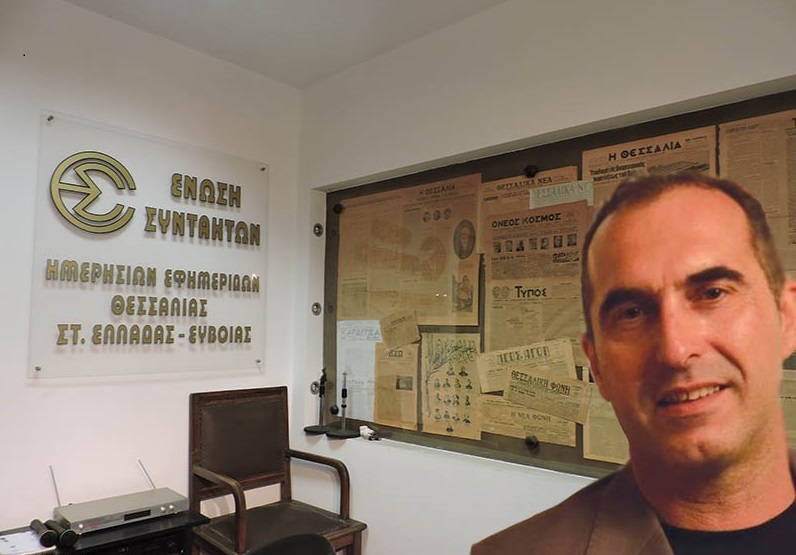 Dimitris Hortargias in the offices of the Union of Editors of Daily Newspapers of Thessaly, Central Greece and Evoia. Photo courtesy Dimitris Hortargias. One can only imagine the feeling of satisfaction and vindication that Greek journalist Dimitris Hortargias must have felt on Dec. 22, 2015, when lawmakers overwhelmingly approved critical reforms to Greece’s Press Law, widely known then as the “press killer”. “All I was thinking on that day was that no other colleague of mine will have to suffer the same nightmare that I went through,” Hortargias said in a recent interview with the International Press Institute (IPI).